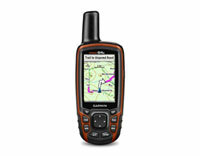 Eircodes on Garmin Eircodes are now available on the following Garmin devices with the latest 2019.30 mapping. 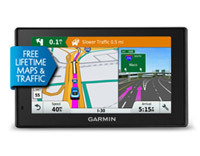 Also on the new Garmin Drive 52 and DriveSmart 55 and 65 which are due for release later Q1. 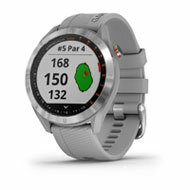 Garmin Approach S40 Stylish, lightweight, colour touchscreen GPS golf watch with 41,000 preloaded courses. Can be paired with optional tracking sensors. 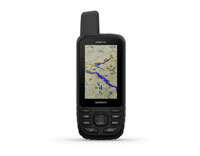 Can also be used as an activity tracker and includes built-in multisport profiles. Available in Stainless Steel Bezel/Powder Grey Band, Black Stainless Steel Bezel/Black Band and Light Gold Bezel/White Band. From €259. Available during Q2, 2019. 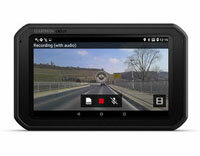 Premium 7" truck sat nav with built-in Dash Cam plus powered magnetic mount. Customised truck routing based on vehicle's profile. Full Europe maps. Digital traffic. 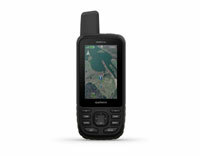 Bluetooth connectivity and voice activated navigation. 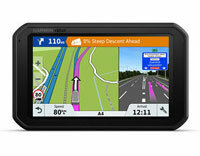 Premium 7" truck sat nav with powered magnetic mount. Customised truck routing based on vehicle's profile. Full Europe maps. Digital traffic. 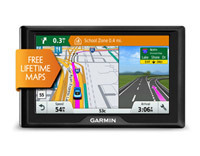 Bluetooth connectivity and voice activated navigation.